Help Documents - Version 5 On-site Kiosk ManagerHow do I set up Kiosk Mode? 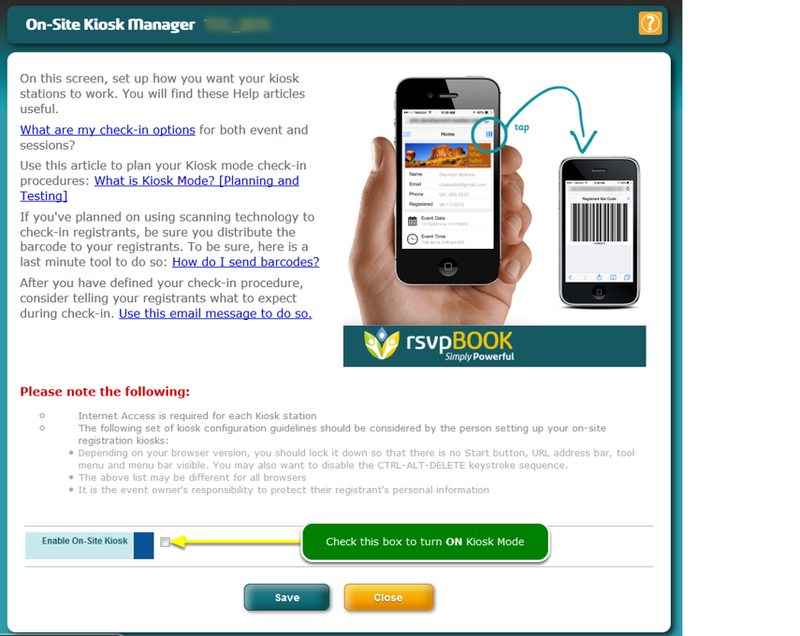 Begin setting up your Kiosk Mode several weeks before your event starts. Where is the Kiosk Mode tool located? 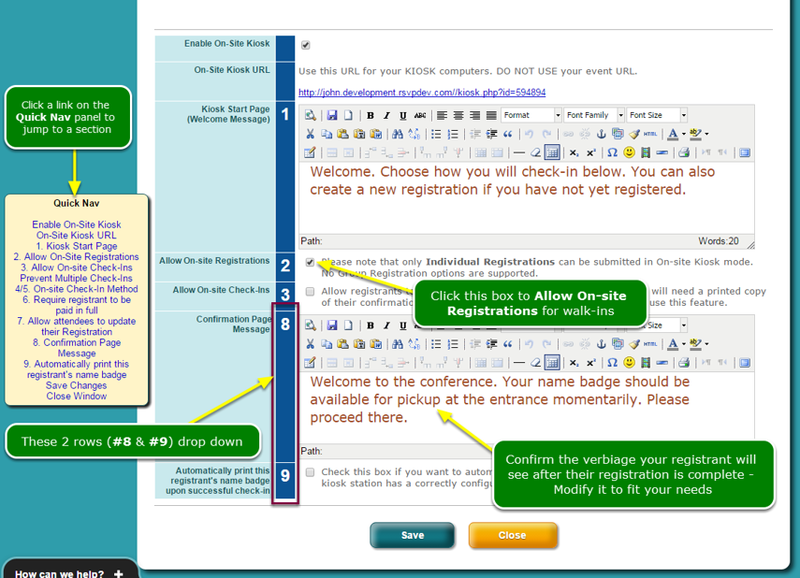 When you click the Enable On-Site Kiosk checkbox, the rest of the page drops down and you can configure how you want the kiosk screens to work. 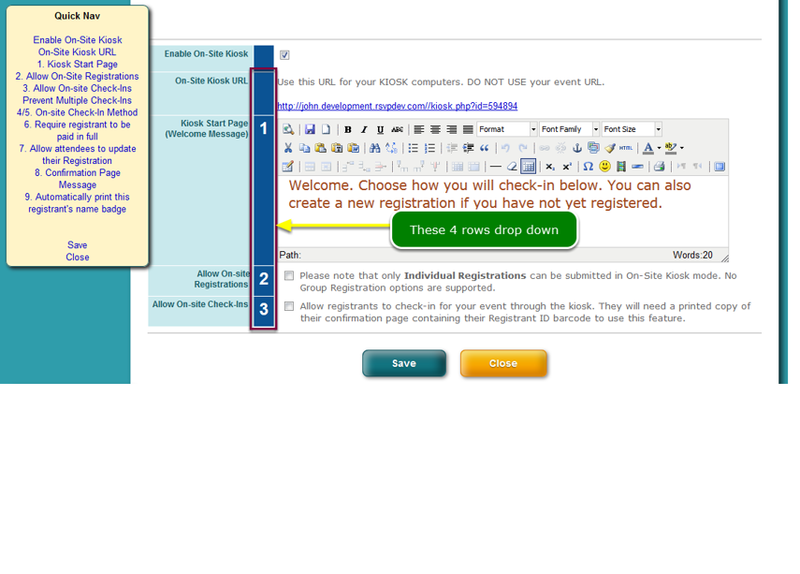 If you want to allow on-site registration for walk-ins, click the checkbox. Rows #8 and #9 dropdown for further configuration. 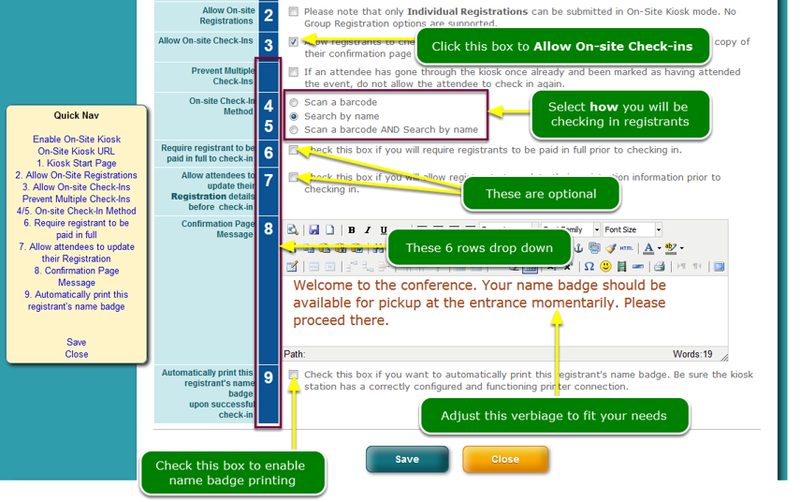 If you want to allow on-site check-ins, click the checkbox.